Description: Baker College Dorm is a student residence facility located on Rice University campus in Houston, Texas. The dorm’s main sanitation drain line had completely failed. The experts at TDT Plumbing, after location access points, installed 13’ of pipe lining within 24 hours, completely restoring the pipe to better than new condition while Rice University Baker College Dorm experienced only one day of downtime. 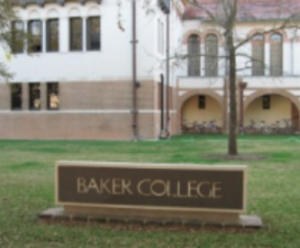 Baker College Dorm is a student residence facility located on Rice University campus in Houston, Texas. The dorm’s main sanitation drain line had completely failed. The 6â€ sanitation line began at Baker College dorm and continued under the dorm’s parking lot. Massive and unique splits had occurred in the 6â€œ galvanized steel sanitation line in the section that crosses through a main utility tunnel that services electric, natural gas, telephone and chill water lines. 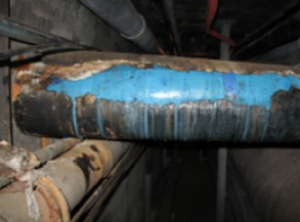 The drain line had been replaced on either side of the tunnel with PVC lines while the section inside the tunnel was never repaired due to the lack of available tie off points for which to attach a replacement line. TDT Plumbing was contacted and immediately assessed the Rice University Baker College Dorm project as one perfectly suited for the ACE Duraflo® in-place, pipelining system. The experts at TDT Plumbing, after location access points, installed 13’ of pipe lining within 24 hours, completely restoring the pipe to better than new condition while Baker College Dorm experienced only one day of downtime.